KWA SIMBO! - BayArea Gede Fet in motion! Join in the Season of Ancestral propitiation of Haitian traditions honoring the Gede - plenty of vitality, deep grinds and circular motion that'll get you #RITE. See flier below for details. 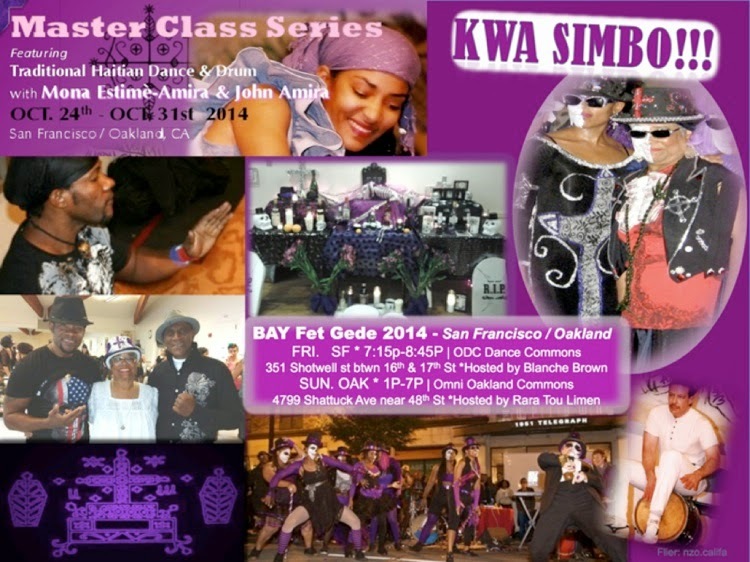 Oakland and San Francisco location. 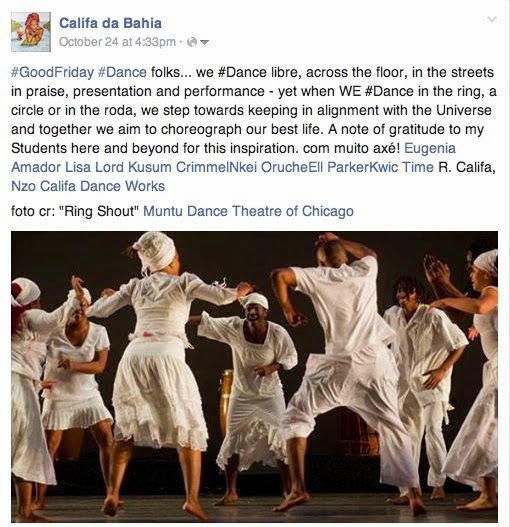 #GoodFriday Dancing in the roda! 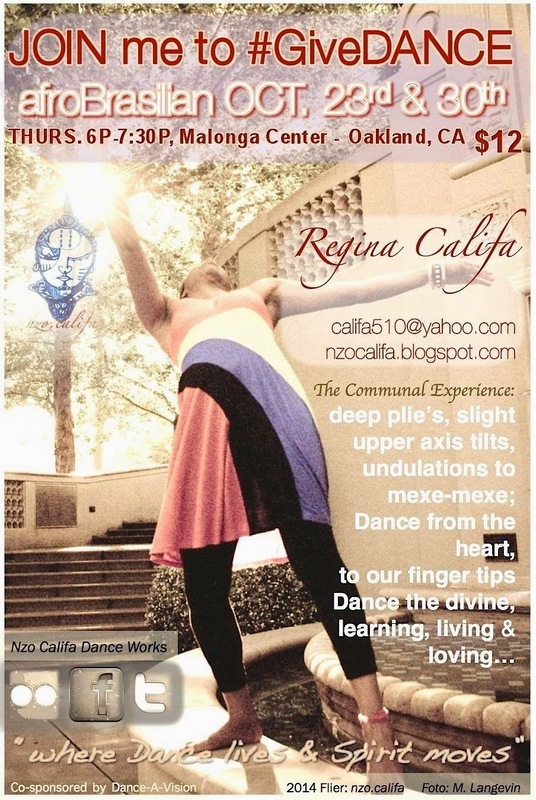 OCT2014 -Take an early review of Nzo Califa Dance Docket filled with Samba cycles of #Dance, new #Dance offering #TheCommunalExperience and invocations of activism from the studio to the streets. 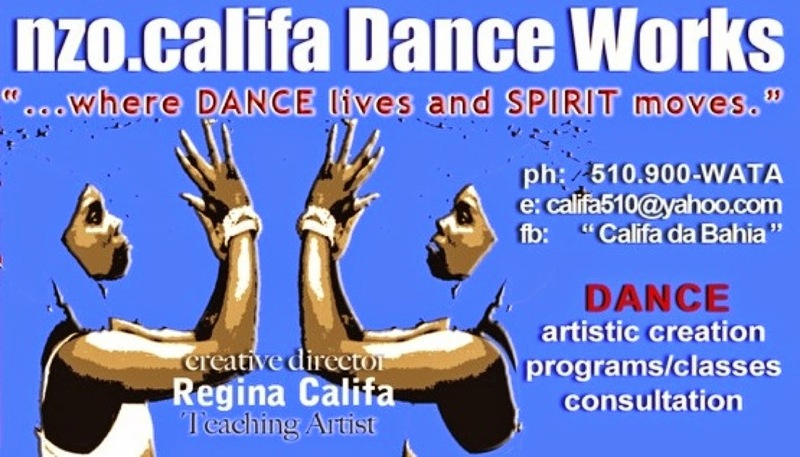 *Co-sponsor Ms. Carla Service, Dance-A-Vision. 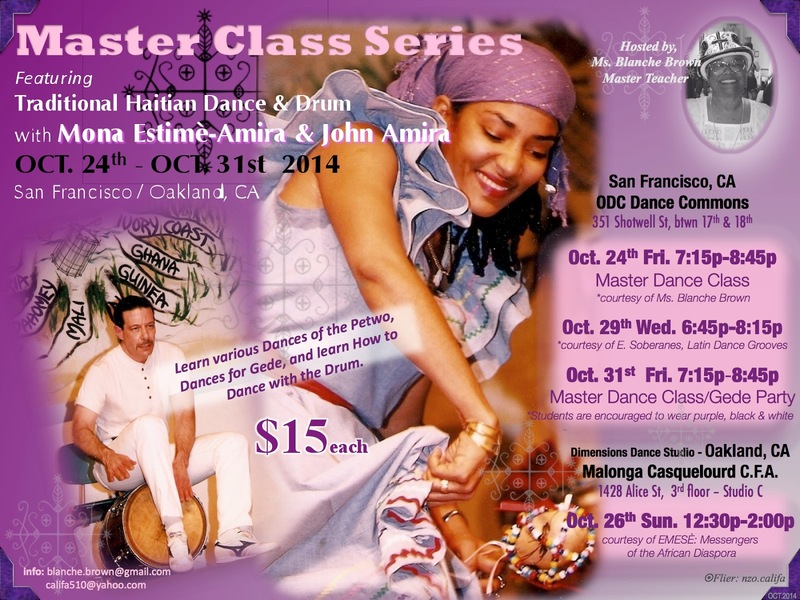 Technicians & Master Artists in Haitian Dance and Drum Traditions.